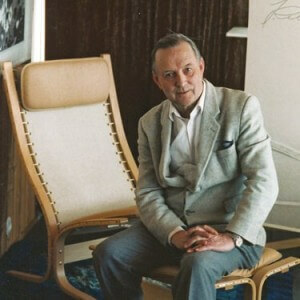 Siesta Classic Chair, High Back is the prized design of Norwegian, Ingmar Relling. 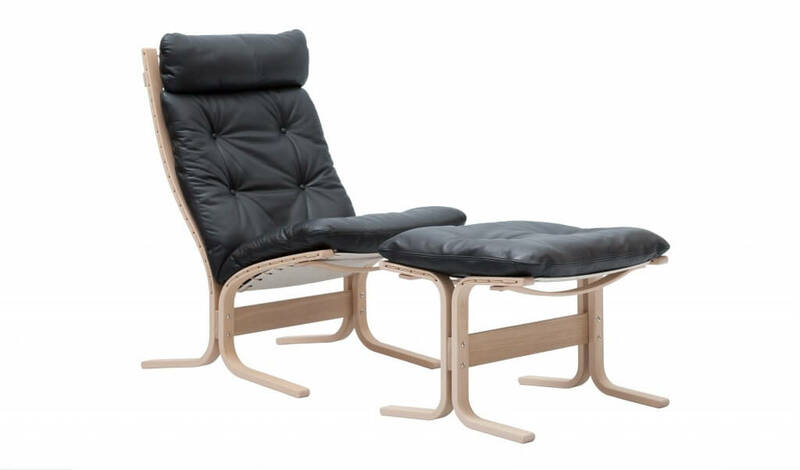 Designed in 1965, the Siesta helped open the world to Scandinavian furniture design. His chair was elegant and clean, which made it a perfect fit for then Hans Hansen Imports. Relling’s design also became well known for its sitting comfort, which helped make it a favorite here. Siesta’s fine design and quality may be why Mr. Hansen declared Siesta, “The No. 1 Gift of ‘71” in his holiday ad that year. Fine design and quality are the reasons you’ll still find Siesta Classic at Hansen Interiors today. Ingmar Relling’s designs were simplistic, minimal, elegant and made with quality, and Siesta Classic was no exception to the rule. It has a large, soft seat and giving frame, which means it’s comfortable. Mr. Relling gave Siesta a unique base design, which makes it float in the room, even though it’s ample in size. Siesta remains an icon of design because of its unique lines and construction. 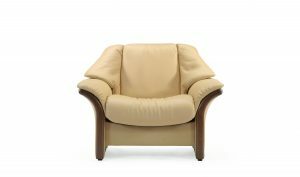 Siesta Classic Chair, High Back is at Hansen Interiors today because of its look, and because of its comfort. We show both high and low back models, and the matching footstool in our showroom. Come sit, relax and enjoy. This elegant piece of history blends well in any setting, and add the footstool for even more comfort. Historical Note: Over the last few decades, production of Siesta Classic has been entrusted to such manufacturers as Ekornes, Westnofa, and Rybo. I have two Siesta highbacks (no arms) and ottoman in Savoy Leather. Mine were made by Westnofa in 1968. The Leather is as soft and creamy as the day I bought them. In all these years I have never found anything as comfortable as these chairs. 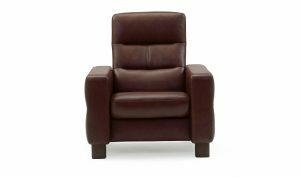 My Ekornes Stressless is nice but not nearly as comfortable. I bought mine in 1968 at “Good Design” in Paramus NJ when I lived in Hillsdale. That store is sadly gone now and we have moved all over the country to end up in Oregon but I am so happy to have found Hansen continuing in the Scandinavian tradition. Torben the owner was so helpful to order some replacement buttons from Hjelle , the latest manufacturer of the original Relling Siesta design. 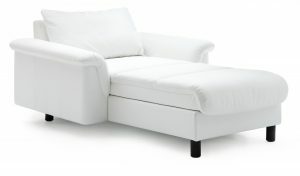 Great Designs are simple, functional, and therefore timeless.The Siesta is a perfect design. Thank You Mr. Relling and thank you Torben for keeping Hansen alive! HIGHLY RECOMMENDED!